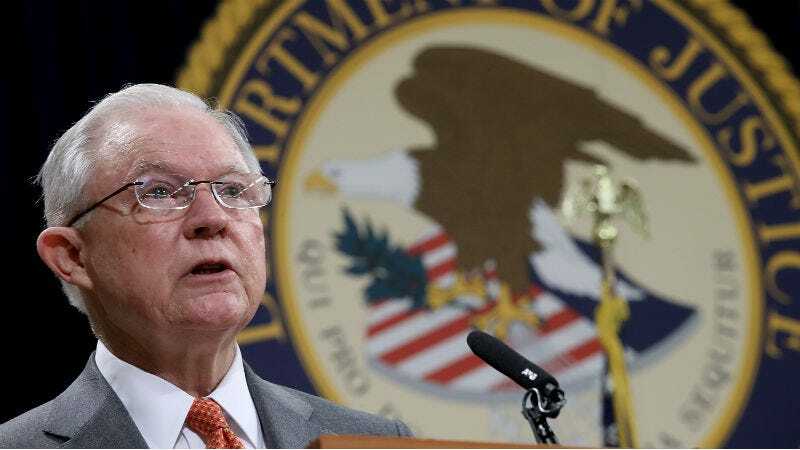 A federal judge threatened to hold Attorney General Jeff Sessions and others in contempt after learning that the Trump administration was in the process of deporting a woman and her daughter while a court hearing appealing their case was underway. Yes, this sounds like the Trump administration I have come to know. According to the Washington Post, U.S. District Judge Emmet G. Sullivan demanded that the government turn the El Salvador-bound flight around immediately. To no one’s surprise, the Department of Homeland Security did not bother explaining why the mother and daughter were being deported in the midst of an open appeal. It did, however, comply with the order to bring the mother, identified as Carmen, and her daughter back to the U.S. “In compliance with the court’s order, upon arrival in El Salvador, the plaintiffs did not disembark and were promptly returned to the United States,” a U.S. Department of Homeland Security official said Thursday, the Post reports. Carmen is one of 12 plaintiffs, both parents and children, in a lawsuit filed by the American Civil Liberties Union and the Center for Gender and Refugee Studies against the Justice Department and Department of Homeland Security. The suit challenges the administration’s new policy, which denies those escaping domestic abuse or gang violence from being granted asylum in the United States. Carmen fled El Salvador in June fearing that she would be killed by gang members. Carmen’s husband was also abusive, according to court records.